If we can get away with just having sharps (aka black notes on a piano) then why complicate things and add flats as well? For example, if I have a C# why call it Dflat? Why not just leave it as C# and make things simpler. Pretty basic and simple. Each key has 7 notes, with a different letter name for each. A B C D E F G but not always starting on A!! Let's take Gmajor G A B C D E F G - except the F needs to be F#. So far so good with your idea. Let's take Fmajor. F G A A# C D E F. Oops, there are two A notes - and no B. Try writing it out on the lines and spaces we call staves. See the problem? EDIT: For the commenters who may have missed my reasoning - still in key F - What would you do about a key signature for that key. Possibly put a # so the A notes get changed? Oops again! Every time an A nat. was needed, it'd have to be marked. Or, no key sig. Then # each A as needed. And there'd never be a note on the middle line, treble clef. What a waste! Just speaking as an amateur classical composer, different spellings of notes have different meanings. In classical tonal systems, if I'm in the key of D, a C# is the leading tone (leads to D and wants to resolve to it), but D-flat isn't a leading tone. And if I were writing with a less-common scale, say, like Phrygian where the leading tone comes from above rather than below, you'd want to write that leading tone as a flat to show that it wants to resolve downwards. I don't know how to play a wind instrument, but I've heard that they can actually slightly differentiate pitch by different spellings. Andreas Schiff has said different spelling-meanings should influence even how pianists articulate notes. "Normal" scales are by definition made up of (half and whole) steps using each letter once. Restricting yourself to sharps would lead to horrifically complex spelling even in some basic cases: the key of F has one flat (B-flat). Think what would happen if you had to write that Bb as an A#. I'm trying this at my keyboard now. Instead of F G A Bb C D E, you would have to write it in the key of E# (i.e. F-natural-- that's a white key!) so that you get each letter one time: E# (ugh) F## (i.e. double-sharp), G##, A#, B# (another white key) C##, D##. 4B. Now you could ditch the basic principle that scales are spelled by half and whole steps: F G A A# C D E and just skip the B note. But when you skip the B line on the page, it's harder to read that as a scale. The problem is much worse for, say, singers than piano. Unlike (tuned) pianos, most humans don't have perfect pitch and have to rely on relative pitch. It's much easier to use your relative pitch to sound out a whole-step than a diminished minor third. There may be other reasons too. When we are writing or playing a piece in a key, we are pretty much choosing a set of notes to play. Out of the 12 notes used in "Western" music, we want to mainly focus on 7. That means we are choosing not to play 5 notes. When we are choosing not to play C natural and we want to play the black key in between C and D, we say we are playing C# instead of playing C natural. That lets us play D natural in the same key when we are playing C#. If we want to be able to play C natural but we don't want to play D natural and we want to play the key between C and D, we call it a Db so that it's clear we will not be playing the D natural. This also explains why we have black keys in the first place instead of just making all 12 notes be on white keys and putting them all in a line and naming them A - L or numbering them 1 - 12 or something like that. The black keys were originally alterations of the white keys. They only exist because playing every song in C major or A minor or one of the modes based on the white keys is boring. Some instruments don't even have sharps or flats built into them (e.g., diatonic harmonica, bagpipes), you either can't play them at all or you have to do weird things to play them. Altered notes want to continue in the direction in which they have been altered. Sharps indicate a raised note and the direction it wants to resolve. Flats indicate a lowered note and the direction it wants to resolve. Accidentals when written correctly, make lines easier to read. The note about C is not always C#. It may be Db under certain circumstances. If a line moves up from C to D through a chromatic note, that note is C#, indicating the alteration and the direction of the resolution. If a line moves down from D to C through a chromatic note, that would be Db, indicating the alteration and the direction of the resolution. 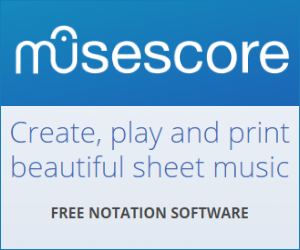 Aside from allowing us to represent scales correctly, when used properly sharps and flats will give us the most accurate representation of the music being notated. There is an underlying 12-note-per-octave set of notes - the chromatic scale - from which notes will be chosen to make a diatonic scale with 7 notes in the octave. Any given piece or section of music will be chiefly played using one of these diatonic scales. Because of this, there's an assumption that we need to notate 7 distinct notes. Each horizontal position on the musical stave corresponds 1:1 to a particular note letter name. Flats and sharps are necessary to allow every version of the diatonic scale to start at any point on the chromatic scale without repeating a note letter name, or assigning different notes in our chosen diatonic scale to the same line on the musical stave. you might question whether some of the assumptions in the western music system are actually particularly helpful in some situations, and indeed, people do invent and use alternative notation systems. For a performer the use of sharps and flats gives us the same clues the composer was working with. As we develop in our knowledge of the theoretical ideas behind the music we're playing, we can then use those clues to help us play the music in a more understanding way. This is of especial and vital importance where the performer is expected to harmonise the written line or to improvise around it, such as in baroque music or the obvious modern example of jazz. And they aren't even really the same pitch. Pianos compromise because it makes them feasible to build, transport and play. Violinists don't have to worry about this, as they can place their fingers anywhere they like; neither do singers. Most wind instruments allow a level of flexibility in the pitch for each fingered note and skilled players can exploit this. Why would they do this? Because you can make the music sound better if you understand what the interval relationships are meant to be in a perfect world where nobody had to use compromised tuning systems for the sake of practicality, and can adjust their notes so that they get not just a proper D flat but exactly the right D flat for the current situation in the music. This is all based on frequency ratios, and turns into a much bigger discussion about the compromises inherent in temperaments and how you can almost never avoid them. Apart from tuning systems mentioned by others, for me, the utility of appropriately using both sharps and flats is to show the function of an accidental, especially. That is, when playing in a particular key signature, _whether_or_not_ I think of that key signature as "moving things up or down", sharp versus flat on an accidental explains to me the harmonic or melodic structure/function. There is also the general feeling about "circle of fifths", making some black notes sometimes "flats" and sometimes "sharps". So in that particular musical heritage there is some information imparted by flats versus sharps, in terms of related keys. Yes, it is possible to play tricks: four flats looks the same as three sharps, and so on... but it conjures up a different image and suggests different structural relationships. Not the answer you're looking for? Browse other questions tagged theory notation accidentals or ask your own question. Why do we need note names like B♭, D♭ etc.? Why not use only A♯, C♯ and so on?